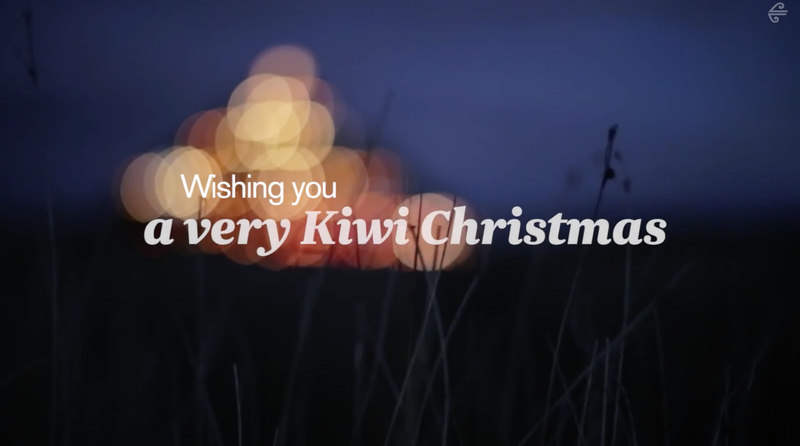 Air New Zealand is promoting Christmas cheer in Australia and NZ with “A Very Kiwi Christmas”, a “Meanwhile… in New Zealand” commercial set on the Otago Peninsula. 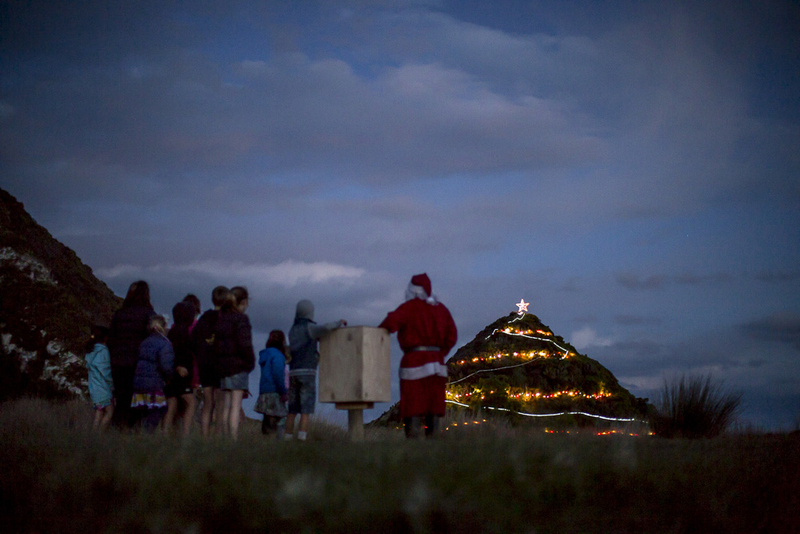 Santa and Air New Zealand stewards take a group of Portobello Primary School students on a tractor ride to see the Pyramids basalt rock formation lit up with oversized Christmas lights and decorations. 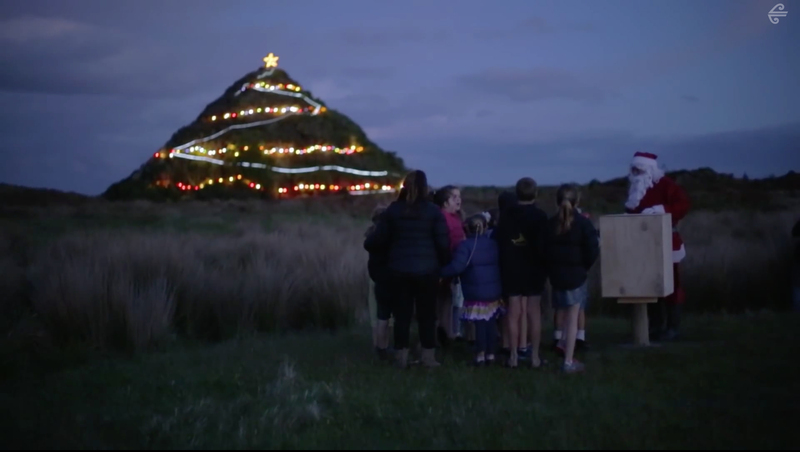 The delighted children are then led to a Christmas tree where their presents await them. 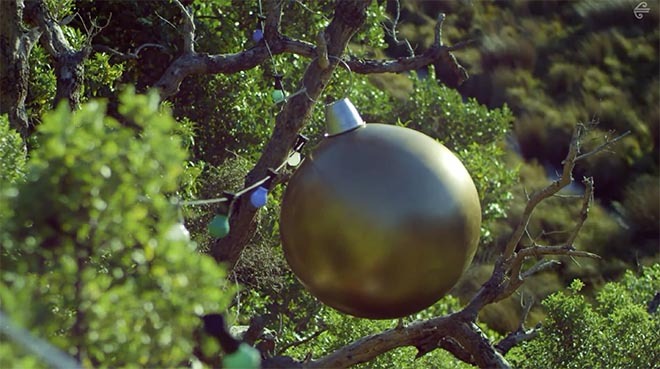 The online campaign includes the two minute commercial, a 30 second teaser and a behind-the-scenes video. The Air New Zealand Very Kiwi Christmas campaign was developed at Host Sydney by executive creative director Bob Mackintosh, creatives Juca Lopes and Will Miles, agency producer Eleanor Rout, editor Pete Ward and account director Kate Forster. 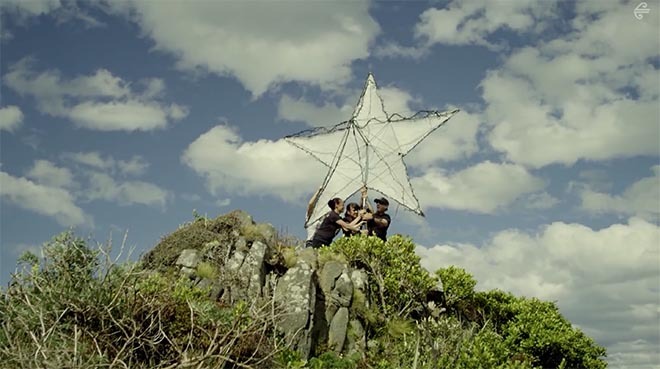 Filming was shot by director/director of photography Tim Pierce via Two Bearded Men, Wanaka, with producer Toby Crawford, B/C camera team Jase Hancox and Will Lascelles at Colab, aerials operator Tony Young, camera assistant Piers Harding, art directors Loz Ferguson (Pop Creative) and Casey Teat. Lighting was produced by Inlight Wanaka by gaffers Olly Champan and Andrew Potter. Photography was by Camilla Rutherford. 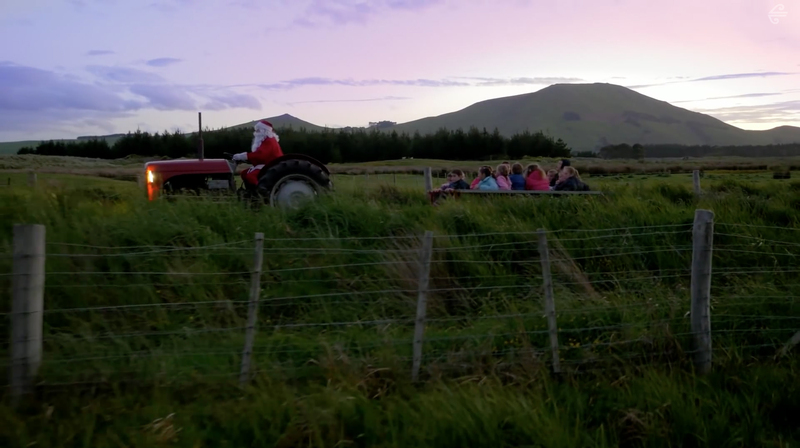 Santa was played by Peter Turner.